Hi all…………another wet tissues to be considered. 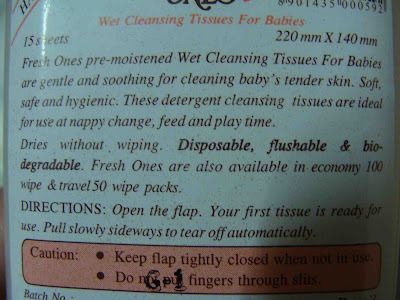 Fresh Ones Baby Wipes, a product of Twainwala Personal Care Products Pvt. Ltd.
Fresh Ones pre-moistened Wet Cleansing Tissues For Babies are gentle and soothing for cleaning baby's tender skin. Soft, safe and hygienic. These detergent cleansing tissues are ideal for use at nappy change, feed and play time. Dries without wiping. Disposable flushable & bio-degradable. 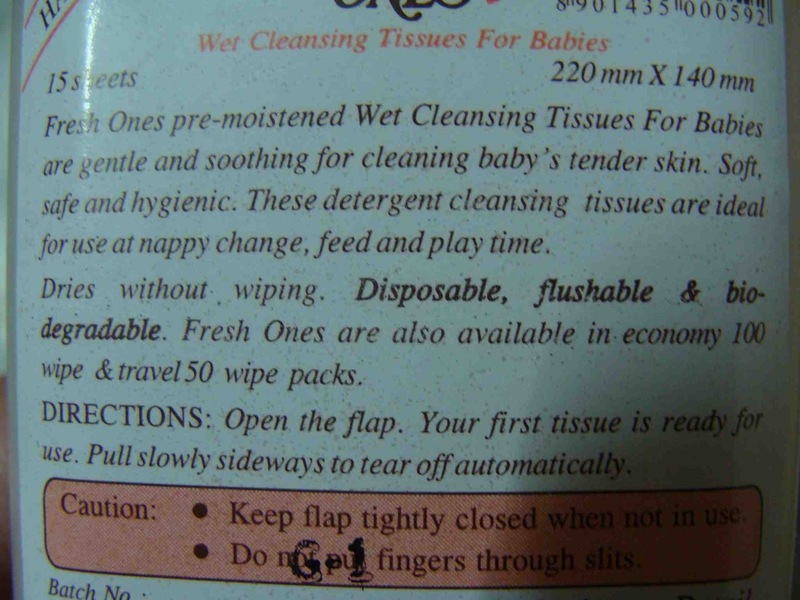 Fresh Ones are also available in economy 100 wipe & travel 50 wipe packs. Open the flap. Your first tissue is ready for use. Pull slowly sideways to tear off automatically. - Keep flap tightly closed when not in use. Rs.38 for 15 sheets of 220 mm X 140 mm size each. 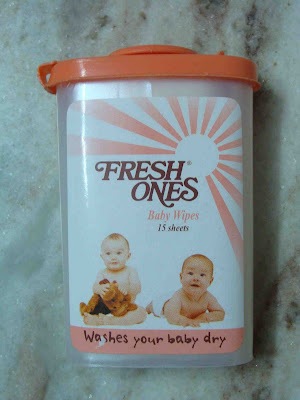 Fresh Ones Baby Wipes is a very handy pack of 15 sheets tissues. I was very fascinated with the plastic box packing. Just felt it is easy to be carried in my vanity bag. The box is sleek in structure with a flip cap for removing the tissues. 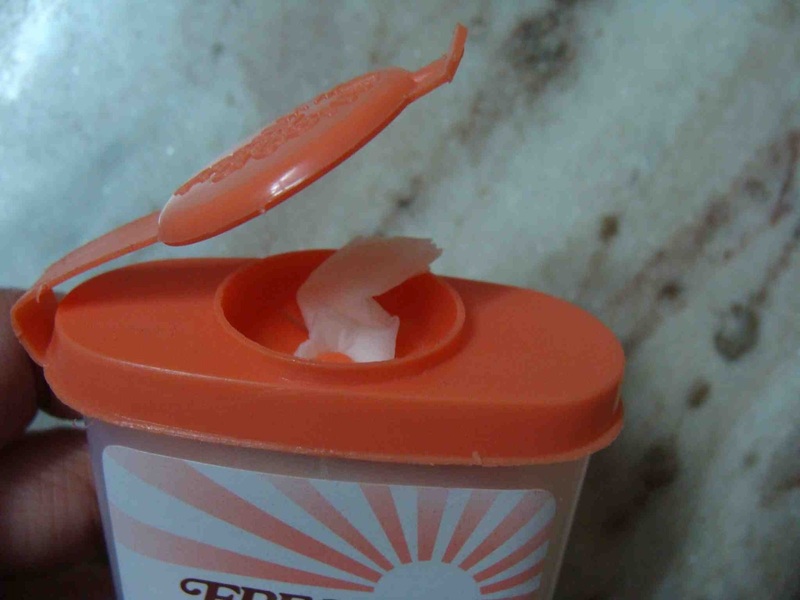 Once the cap is opened, you can see a cross marked slit through which you have to slide the tissue out. The tissues are attached to one another and they tear off from the next tissue once the outer most tissue is pulled out completely. 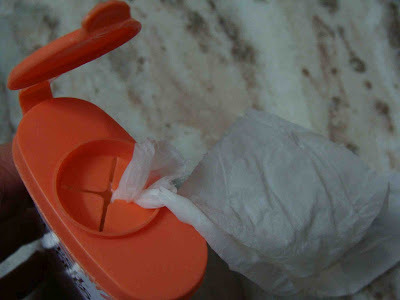 The tissue is so wet, that you feel like you are wiping your face with a cloth that is just rinsed. I used these wipes for the first time after a drive of about 4 hours. My facial skin felt very fresh and soothing. All the oiliness and tiredness due to traveling vanished. Recently I used these wipes to remove the lipstick with shimmers that I had worn in full. In one wipe 80% of the color is gone. Next wipe all color gone. Of course some amount of shimmers is left behind. The smell is mild but not really great. Not that it cannot be liked. It is just that it does not fascinate. Baby products are so wonderful. - Not a great smell if you compare with any other available moisturizing tissues. - Expensive for the quantity you get. Of course, all cost goes towards the packaging. Will I repurchase these tissues again? Yes. This is definitely worth buying again. Hi chand, welcome to Mumma's world!!! Congrats on your first post. Hvae never used these wipes but am looking forward to getting these now.